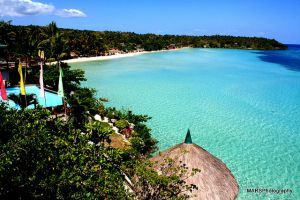 Boracay Island, Philippines — Capping the summer season of 2013 with more surprises, Fairways & Bluewater Newcoast Boracay launches an exclusive big-discount promo for its guests. With this deal that runs until May 31, 2013, getaways to one of the world’s most beautiful tropical attractions become even more exciting. 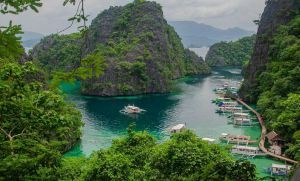 The 50 Shades of Fairways Suite Sale in May promotion from this resort in Boracay Island is ideal for guests who are planning to visit the world-renowned beach destination during the month of May. With this package that covers breakfast, they will enjoy 50% discount on regular room rates. The promo is applicable only on Junior Suite, Executive Suite, One Bedroom Suite, Two Bedroom Suite, and Chairman’s Suite accommodations. Children who are aged 11 or younger are allowed to check in free of charge, provided that they will share a room with paying adult guests. The maximum number of non-paying lodgers depends on the type of room booked. Checkin is at 2 pm, and checkout is at 12 noon, following local time (GMT +08:00). Other policies stated on the hotel’s website apply. Promo details may change without prior notice.